NEW in BOX. 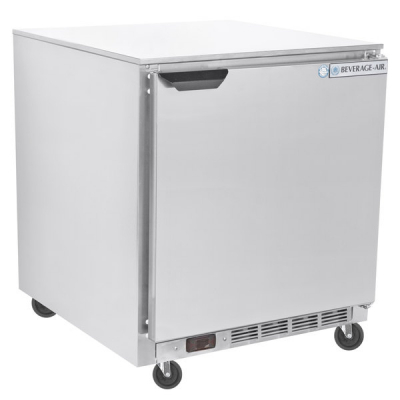 Beverage-Air UCR27AHC 7.3 CuFt Stainless Steel Undercounter Refrigerator, Comes with all factory accessories as pictured. Casters included!